Do you want to improve your opportunity for success for your business? Whether you have an existing business, or are looking to start one, a website is a crucial tool that has to be part of your business. Think about your own experience. If you want to buy something from a company, what do you do? A high probability would be that you would go online and visit the website of the company that you are looking to do a transaction with. After that, you would probably also visit their social media site such as Facebook, Instagram, Twitter, etc. What if that business does not have a website? You would likely immediately write them off and never do business with them ever. Or worst, what if you go online and found their website and it is crummy, disorganized and poorly designed? You would have a negative impression of them and which would also result in you avoiding that company, am I right? Now, why would that be different for your business? A great website helps you to communicate to your customer in ways that you are not able to. It also lets potential clients access to your company information and the products and services that you offer 24 hours a day. It if your permanent sales staff that is working around the clock to convert leads into potential business for you. Let’s say you are looking to start a new business. Your business is unknown, new and there is generally lack of information that can help customer know you and your products and services better. If customer don’t feel comfortable with you, or don’t know enough about you, their default response is to go to your better known competitors even if it cost more. This is only natural and logical. If you want to give your business the best chance and opportunity of succeeding, the first place to start with in this digital marketing age is always with your online presence. Having a great looking, functional, well designed professional website that reflects the personality and taste of your business helps to create the first impression that is a crucial factor to influence prospects in identifying with you and potentially buy from you. You can even create an e-commerce website so that you can sell directly to your customers through your website complete with online payment solutions. Create your own money list. Let’s say a prospect had visited your shop or website, but have not bought anything before. However, they have subscribed to your newsletter by giving you their email and contact information. This allows your to build your own customer or prospect list that has always shown interest towards your products and services in the past. Thereafter, you can begin to structure a sequential marketing campaign to convert that prospect into a buying customer by sending them a series of letters, offers, deals or promotion to induce them to return again. As the saying goes, the money is in the list. So, how can you build your own list of customer database? Firstly, we always recommend that our clients have a system to capture leads in their business whether it is through feedback form in the restaurants, suggestion box placed around the shops, having contest or games, lucky draw, and any other kind of activities where you induce prospects and customers to give you their contact information willingly. Secondly, and this is often overlook, using your website to capture visitors to your website can help to build this list too. Take The Ultimate Webmaster‘s homepage for an example. When you scroll down in our website, you will be given a good deal and also a free gift in exchange for you to give us your contact information. Once we have your contact details in our database, we can systematically market products and services to you continually until you op-out of the list. So, if we provide you with good value, good offers and do not spam your email, you will likely stay subscribed to our updates which gives us the opportunity to market to you over and over again. Whatever products or services that you are offering, you can market them directly through your website easily and effortlessly. There are various ways you can take the order through your website, whether through contact form or you can add a payment gateway with service providers such as Ipay88, Senangpay or Billplz and receive payment directly through your website shop. Customers can opt to pay via FPX (local direct bank debit) or through their credit card. Having your website created in a professional, modern and great looking way that reflects on your brand is important in today’s marketplace. It helps you stand out from among your competitors and establishes confidence that results in a transaction. Ever wandered into a poorly design website? How did it made you feel? Would you dare make some transaction on a website that is not updated, buggy and looks terrible? Of course not! Any company that has a website that is not done properly will likely lose customers and market share! Think about that! With your own website, you can then implement various marketing strategies to reach out and penetrate new market. You can use Search Engine Optimization, Pay Per Click advertising, banner ads and Social Media marketing to reach out to new untapped markets. Your competitors are already doing it. So by simply sitting there and not doing anything, you are already losing market share to your competitors. Take charge of your company’s financial destiny today. So in conclusion, a well designed website should definitely be part of your business tool. Without a website to support your business, it is akin to you having only one arm. Which of your arm is more important? Your left arm or your right arm? Could it be that both of your arms are equally important? The main problem in digital marketing presently is that most small business owners don’t understand how paramount their website can be. 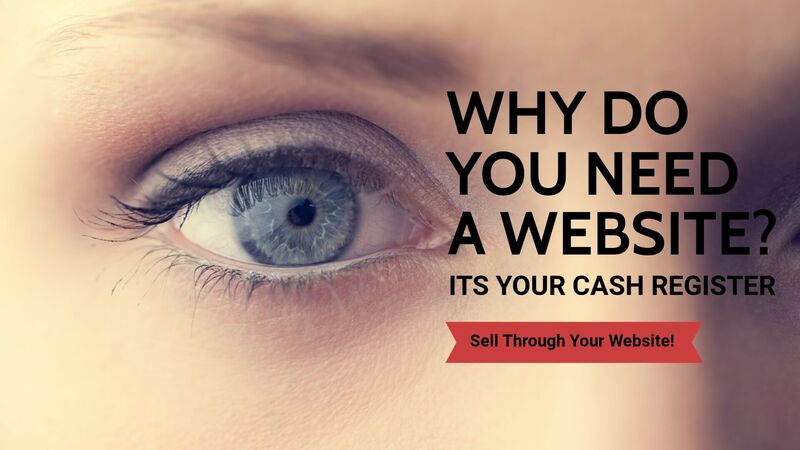 The functionality and look of your site can either make or break you. So while taking a do it yourself approach will certainly save you some money upfront, within a year you may have lost more goodwill and revenue that would have paid for the cost of hiring a professional website design company (with some leftovers). Website design in the present day isn’t the same as what was available fives years back. The entire concept has been dynamic and continues to be so. Websites now serve as 24-hour marketing forums for both small, medium and big businesses. It is seen as a tool that can effectively make your life easier. The question is, what is the advantage of having your website done by a professional website design company? This article attempts to shade light on several reasons why going professional when it comes to website design beats the do it yourself approach. They are usually basic designs. Every individual or company can use the same one you used. As a result, you end up with a boring site. After all, you want your customers to be excited when visiting your site. So when you hire a professional website design company with the required skills, you can expect an original, stainless design made with your ideals in mind. There can’t be any comparison. Once somebody visits your site, they immediately develop an opinion (based on the look of your website) of your company. Even if you offer the best service or products, your site is the face that does the talking. When you hire a professional website design agency, they will be able to notice the difference thus allowing your first impression to be more positive. Website designing isn’t about just laying out a great design. Websites support an incredible amount of functionality that can eventually save you time and boost your revenue. Let’s say you own a car body repair shop. The online appointment booking feature provides a convenience to your clients and saves you the stress of having to book appointments by phone. Your follow-up emails will be sent automatically thus adding a friendly touch. A professional website design firm will educate you accordingly and build your site with the appropriate technology (responsive design) thus saving you extra hundreds of dollars. In addition, as new mobile devices come into the market, your self-made site may not be able to adapt. With a professional on the other hand, your website is likely to be completely future proof (as new ways to browse keep emerging). Whether you are thinking of building a new website or redesigning or revamping an existing one, feel free to get in touch with us. We are happy to discuss your website projects free of charge. We back all of our projects with an iron clad Money Back Guarantee so that you can rely on us with peace of mind.